This picture was not taken during our 1987-trip, but during a later reconnaissance for gold at the other bank of the fjord. 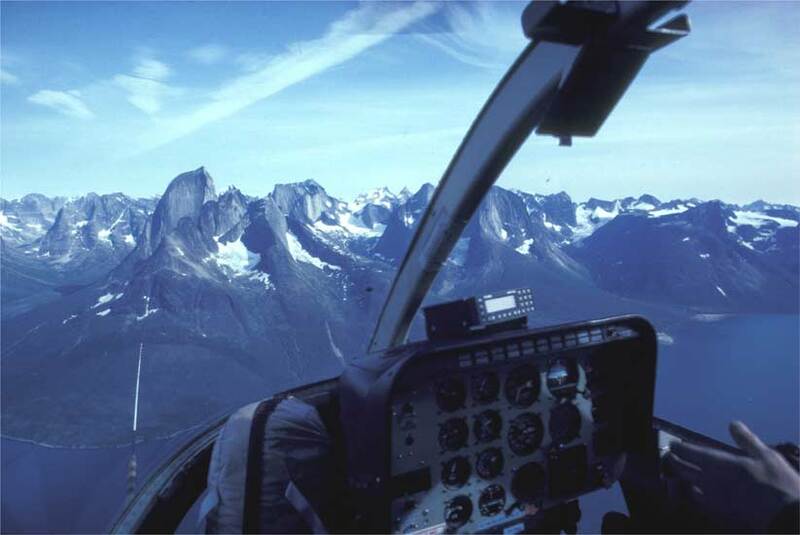 I persuaded our pilot, Anders, to take me closer to the granitspires of Tasermiut. From left is Ketil, Nalumasortoq og behind the window bar, Ulamertorsuaq. The chopper is a Bell 208, Jet Ranger.